Eviction is typically the last step a landlord wants to take with a tenant. But it’s a reality in the real estate investment business. Most experienced landlords say the biggest mistake they make around eviction is waiting too long to start the proceedings. Every state has its own requirements for how eviction papers are written and served, too. Look up your state law on eviction; read it thoroughly. Ask an attorney to explain it if any statute or requirement is unclear. Many rental property owners advise new landlords to hire a landlord/tenant attorney to handle your first eviction to make sure that everything is done correctly. You don’t want your case thrown out of court because you’ve missed a legal notice or mixed up the number of days you are required to give the tenant to correct the problem. If your tenant fights the eviction, your case could take many weeks or months to go through the courts. Every notice, every complaint, and your history as a landlord could be scrutinized. It’s vitally important that you keep excellent records, treat every tenant equally and abide by your state and local laws throughout the entire eviction process. Depending on your state, you may have responsibilities after an evicted tenant moves out. In some states, the property owner is required to store a tenant’s left-behind property and notify them for a minimum time period before disposing of it. It’s not easy to evict a tenant—for a reason. Forcing a person or family out of their home is not taken lightly. Be well-prepared if you must evict—and to reduce the probability of needing to evict, be sure to order a thorough tenant screening before you sign a lease with a potential tenant. The most common cause for evicting a tenant is probably nonpayment of rent. Experienced landlords do not hesitate to begin eviction procedures when tenants are in arrears on rent. So if you plan toever evict a tenant, then think like a Boy Scout—and be prepared. Be prepared for excuses: You might hear about your tenant’s difficulties, whether from the economy, job loss, health, or even the weather. You could hear that there is damage or mold in the unit that renders it uninhabitable. You might hear any number of reasons why your tenant has not paid the rent—which is the only thing that matters. 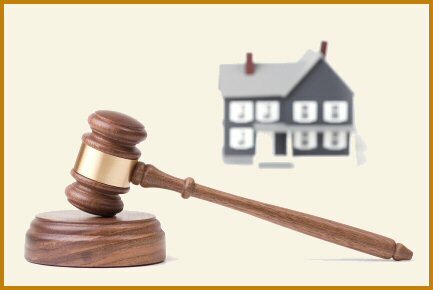 As landlord, you are entitled to decide whether or not to evict based on the tenant’s situation. Just be prepared for nonpayment of rent to occur again. Be prepared with all the eviction paperwork required by your local court. Some want a copy of your deed, the lease, the exact names of everyone living in the rental unit (whether or not they are on the lease) and copies of all notices to pay rent or quit (evict). Your jurisdiction may want more information, so be sure to ask the clerk of court or magistrate’s office. You’ll also need proof of non-payment, so gather up all check copies for the tenant for at least the previous year. Be prepared to hire a lawyer. If you have never evicted a tenant before, many experienced landlords would strongly recommend you hire a Landlord/Tenant attorney before proceeding with eviction. They can keep you from making crucial mistakes and losing your case. Be prepared to spend money. There will be fees associated with preparing your case. And if you decide to hire an attorney, you will be responsible for his or her fee, as well. 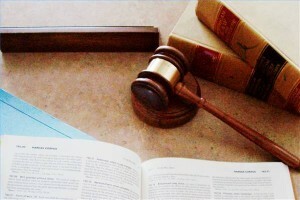 Be prepared to follow the court’s procedures. The court will require you to fill out paperwork correctly and follow every procedure to the letter. If you don’t, you could have your eviction case thrown out and have to start again. Consider observing a day in court when they hear eviction cases—seeing other landlord’s eviction errors could help you avoid them. Be prepared for a fight. Your tenant may not even show up for court. If so, you will likely win your case. But if they do appear, remember that tenants have rights, too, and are entitled to plead their case before the judge. Be prepared to defend yourself. You may hear things that will surprise you, but stick to the facts and avoid arguing or confrontation. Eviction is never easy, but it is a part of being a landlord. Just remember to be well prepared for whatever surprises may come up!